Literally the best I've ever seen, great and efficient customer service. The quality and fit of the suit is amazing, I ordered it on sept 14th with the hope it would be here before the 26th October and it arrived on the 3rd October thanks to Indy. It looks really good on and the attention to the cut of the suit is second to none. Can't recommend them anymore, got my next purchase lined up already. 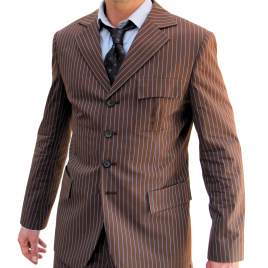 If you're thinking about buying the suit, do it, it's well worth the price for the guarantee of quality.